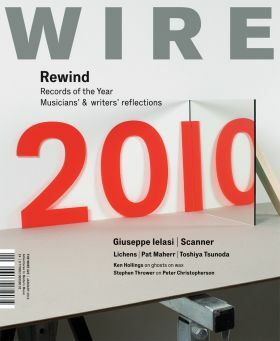 Great review of Supersonic Festival in the latest issue of The Wire, especially good to note that Birmingham and the Black Country are starting to be branded as the ‘Home Of Metal’ in the music press. This comes just as we have appointed a designer for the BMAG show which is happening next summer, Studio Myerscough who were responsible for the Matthew Boulton show and were the design curators for Vintage at Goodwood start work on the exhibition in January. We’re delighted to be working with both Morag & Luke , who have a very innovative approach to exhibition design and are sure will help us make ‘Home Of Metal‘ a real landmark show for the city. The Wire review also made reference to the creative community around the Custard Factory, again encouraging to see that there is such a buzz around the ‘We Are Eastside‘ group. The West Midlands and Birmingham in particular are ‘the Home Of Metal‘ – where founding fathers like Black sabbath and Judas Priest played their first shows and a second wave, including Napalm Death and Godflesh, spawned numerous subgenres…We get a sense of the diverse musical and artistic interest that fed into the Birmingham scene. It’s clear that the city’s current music community, or at least the one centred around the Custard Factory, is equally openminded – something which the organisers Capsule both cater to and take inspiration from. Supersonic confirms that there’s certainly something in the air in Birmingham, or, as one of the organisers suggests, in the city’s architecture, that makes even the older artists come across as fresh. That’s because you’re not observing them on display in a ‘zoo’, but working in their natural habitat: a post-industrial space. So many other music festivals offer what you expect to hear, merely affirming your good taste in music, Supersonic is a place to be educated and surprised: new, experimental and intellectually nourishing material is cleverly smuggled in under a black cloak of fist-pumping riffs and cathartic noise.